Truth be told! Marvel has mastered the skills of telling great storyline with witty antics and funny one-liners, mixed with action-packed adventure, majestic visual effects, and of course, eye candy lead stars as well. "Guardians of the Galaxy, Vol. 2" takes a notch higher than what and how it was told some three years ago. 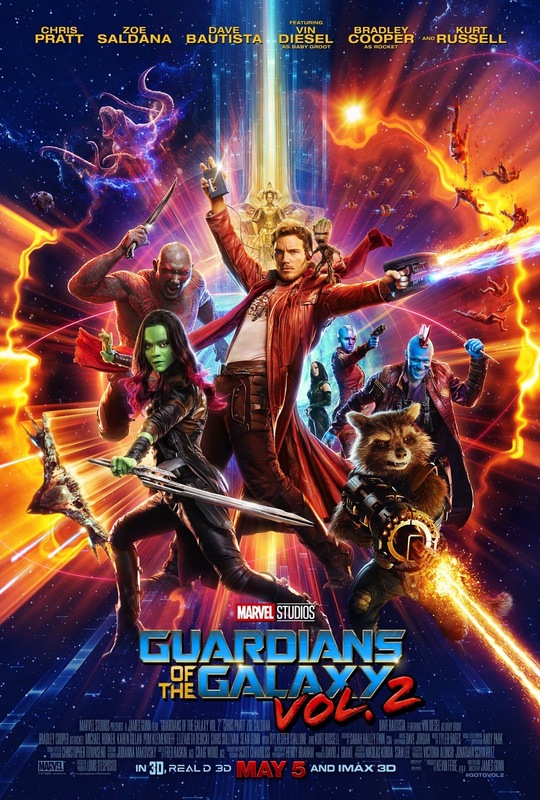 In this latest movie offering, Peter Quill (Chris Pratt) discovers his biological father still exists and is wandering across the Universe looking for him. Their reunion was quite awkward but still manages until a sudden twist was revealed towards the end, which lead to a devastating truth about the demise of his mother. Great visual artworks are present on each scene, along with the vintage look and nostalgic feels the movie has to offer. We love the dialogues, the throwing of punchlines, the action scenes, and Baby Groot. Where can you go wrong with that? Overall, the feels the movie "Guardians of the Galaxy, Vol. 2" have brought us are excitement, chills, and mixed emotions. We laughed, we cried, and we punched in midair as we hold on to our seats for each scene. Truly a remarkable and unforgettable movie experience. We give "Guardians of the Galaxy, Vol. 2" a 10 out of 10 movie experience for Chris Pratt's notable acting, Rocket's ill-temperedness, Drax's one-liners, and of course, Baby Groot! When you watched this movie this long weekend, be sure to catch it on iMax, use 3d glasses, and stay put until the end. You'll thanked me later!